Free Movie Tonight at Redbox! Exhausted after a long day in the office? 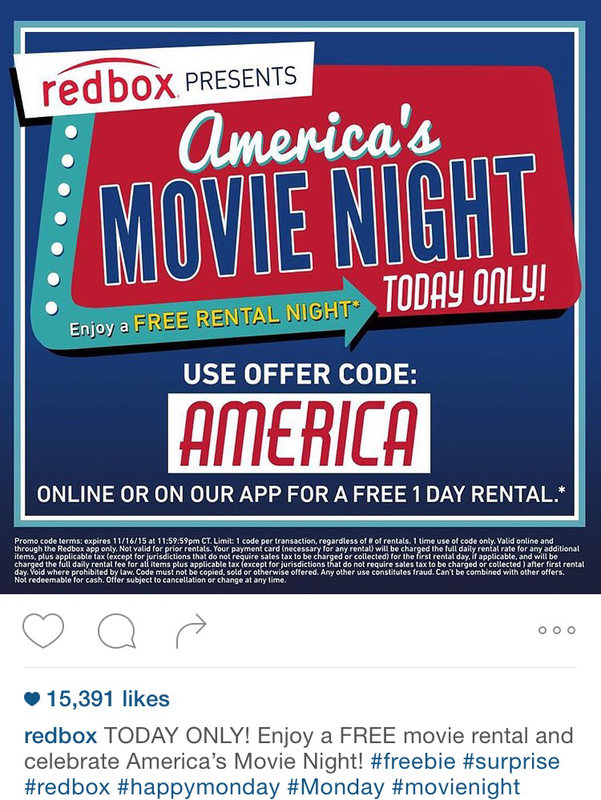 Tonight, Redbox is offering a FREE movie tonight to everyone (they posted it on their Instagram this morning)! Order your movie off of Redbox.com or on the Redbox App and use code: AMERICA – when you go pick up your movie, it’ll be completely free for one night! So sit back, relax and enjoy your free movie! ‘Till next time, keeping saving! Be sure to follow me for more coupon codes and other great finds!